Cicoil Camera Link® cable is ideal for motion video and frame grabber applications that require an extremely durable and harsh environment resistant design. 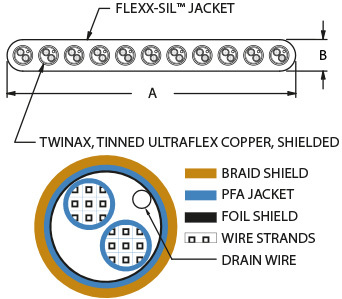 This design features a 10 million flex cycle life and high flexibility through the use of ultra-flex copper stranded wire in the 11 twinax, dual-shielded cables that comprise the Cicoil Camera Link® cable. 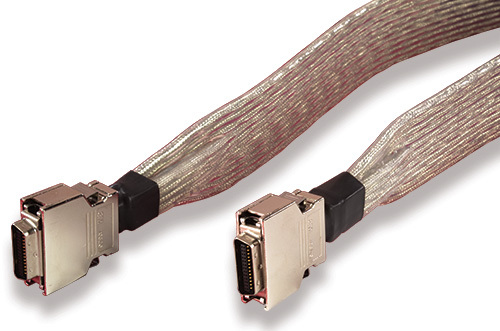 Also, individually-shielded conductors in a flat cable create a constant, clear signal path for the highest data speeds available.